Two fascinating stories recently about students cheating and responses to it. All universities face the issue of how to educate students on the importance of honesty and integrity in academic study and avoiding plagiarism and other forms of cheating. Many US institutions have what is called an Honour Code to which students are expected to adhere and which covers all aspects of their behaviour in academic and non-academic activities. Similar statements can be found in the registration or matriculation agreements signed by students on arrival at UK universities. These also relate to the disciplinary regulations covering academic and other offences which describe the powers the university has (which may range from fines, to mark deductions to expulsion) to respond to behaviour which breaches these agreements. Only a few courses that are now under way include essay assignments, so just three courses are affected (though tens of thousands of students are enrolled in each one). Officials say they may add the honor-code prompt to other types of assignments in the future. Students in all Coursera courses already agree to its honor code when they sign up for classes. It is interesting that the view here appears to be that this is really an issue about cultural difference and alternative norms about what is and is not acceptable in terms of academic work. This is likely to be a factor when there are so many students, from many different backgrounds and educational traditions, taking a course. It is a challenge faced and addressed in traditional university education too. What is different here though is that the nature and operation of MOOCs means that plagiarism and other forms of cheating is inevitable. With huge numbers of students taking each class and automated or peer marking and no quality assurance then it is simply impossible to be confident about the integrity of the assessment process. Such an invitation to students to sign a pledge looks, at best, a little tokenistic. Officials said they intend to start broad conversations about academic honesty, including why it is vital to intellectual inquiry, in the wake of what is believed to be the largest such episode in recent school history. Harvard University is investigating whether dozens of undergraduate students cheated on a take-home exam last spring. School officials said Thursday they discovered roughly half of the students in a class of at least 250 people may have shared answers or plagiarized on a final. They declined to release the name of the class or the students’ names. 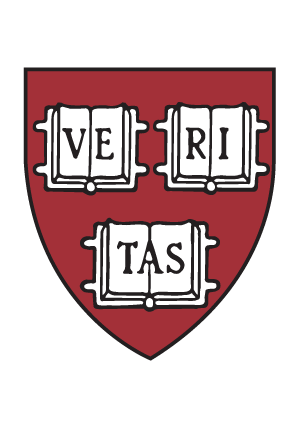 “These allegations, if proven, represent totally unacceptable behavior that betrays the trust upon which intellectual inquiry at Harvard depends,” President Drew Faust said. What is perhaps most surprising about this incident is the scale of it with half of a class of 250 said to be involved. The key difference between this and the Coursera response is that the University detected the possible cheating and is acting on it in order to maintain the standard of its awards. That’s not something we can expect to see from a MOOC provider in the near future (of which Harvard is of course one, albeit indirectly, through its partnership in edX). The other rather dispiriting conclusion we can draw from all of this is that human nature is such that many people will, if you give them the opportunity, cheat. This entry was posted in Admin, Education, HE, international, Students, teaching and learning, University and tagged cheating, Chronicle, Coursera, Harvard, HE, honour code, MOOC, Plagiarism, Students, teaching and learning, University, world by Paul. Bookmark the permalink. Dan Ariely notes in his recent book, “The (Honest) Truth About Dishonesty”, that cheating can be infectious in certain instances. The Harvard situation may involve some of that, given such a high percentage in the class reported as cheating. To not cheat may even seem to the individual as a disadvantage or going against a norm. As for Coursera, it looks like each separate assessment will require accepting the honour code. Ariely notes that this is preferable to students signing an honour code for each assignment, rather than simply at the beginning of a course. Coursera did have an honour code at the start of a course, but many students would let that slip to the back of their mind. The further removed someone is from feeling responsible, the more likely they are to cheat. Faced with the direct request to agree that you’re not cheating/plagiarising each time, it brings the individual much closer again.